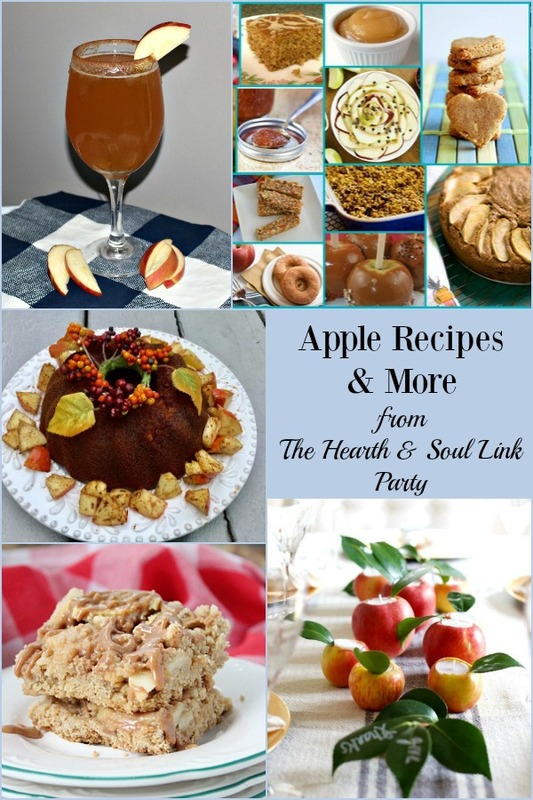 A warm welcome to the Hearth and Soul Link Party, where this week I’m featuring Apple Recipes and More! We are home from our latest trip, and have returned to sunshine which makes me very happy indeed! I love travelling, but it’s always wonderful to come home. Speaking of travelling, what’s your favourite city in the world? Weigh in with your reply on my Facebook page! You can find out my first favourite city if you click through above. My second favourite city? It’s definitely this one! 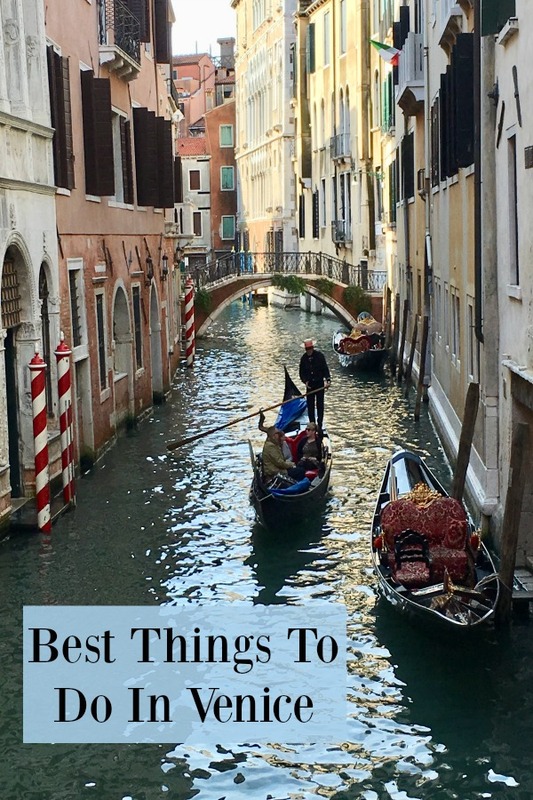 Want the insider scoop on the best things to do in Venice? 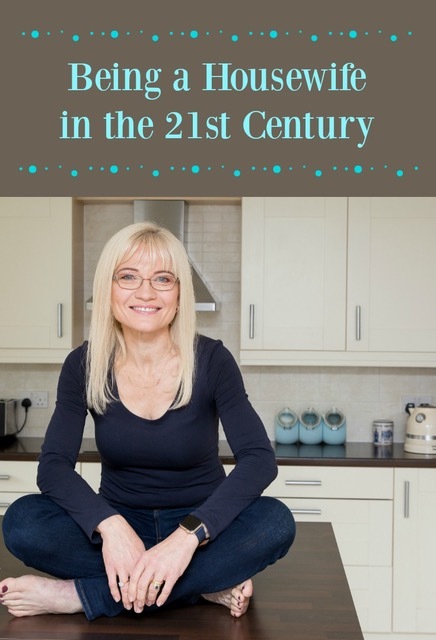 Join me on a virtual visit, and make the most of a visit to this wonderful city with my hints and tips. 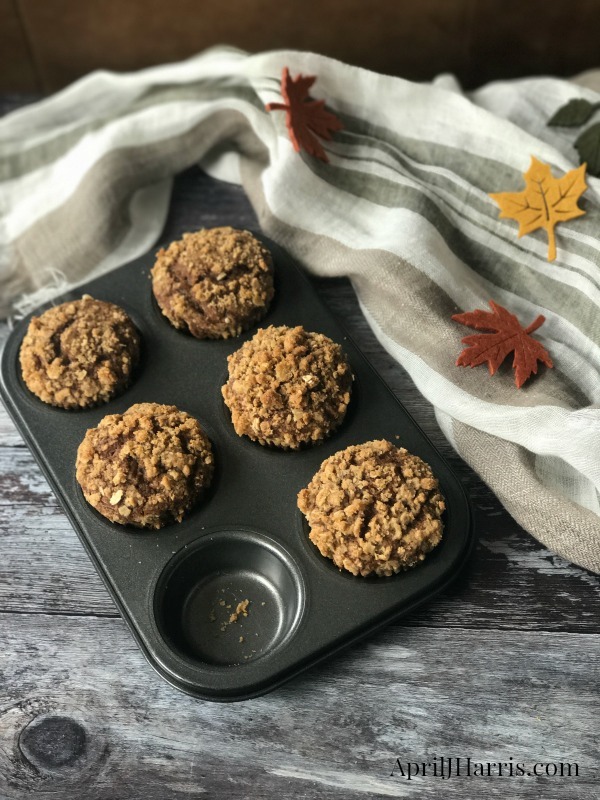 My Streusel Topped Pumpkin Gingerbread Muffins were inspired by a visit to England’s Lake District many years ago, and they’ve been a regular feature on our breakfast table ever since. 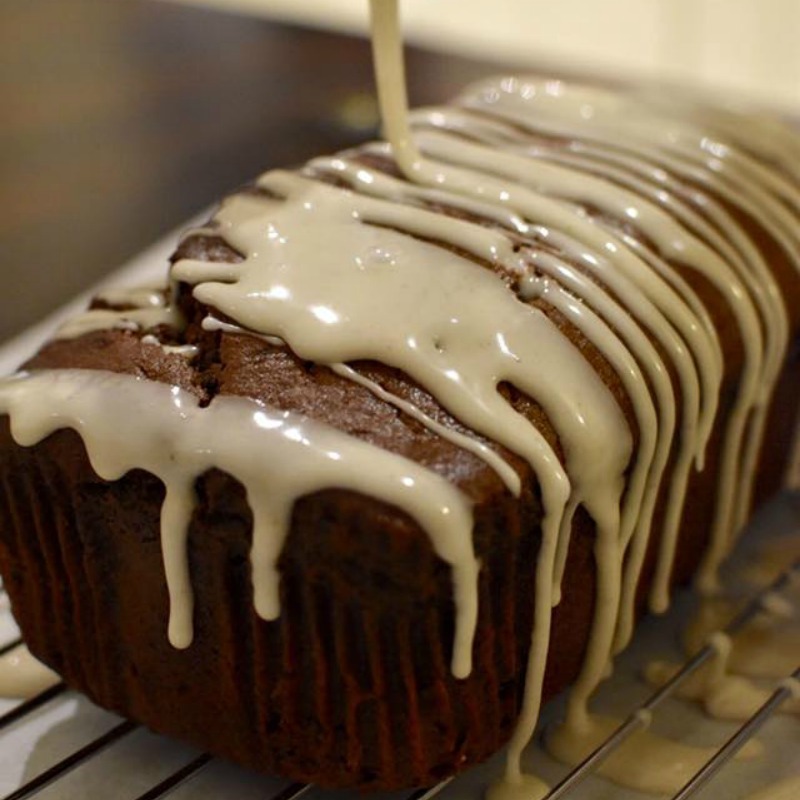 My Banana Gingerbread Loaf is perfect for any time of day (even breakfast if you fancy a real treat!). It tastes wonderful just as it is, but the Ginger Glaze takes it to a whole new level. Thank you to everyone who visited and shared last week! 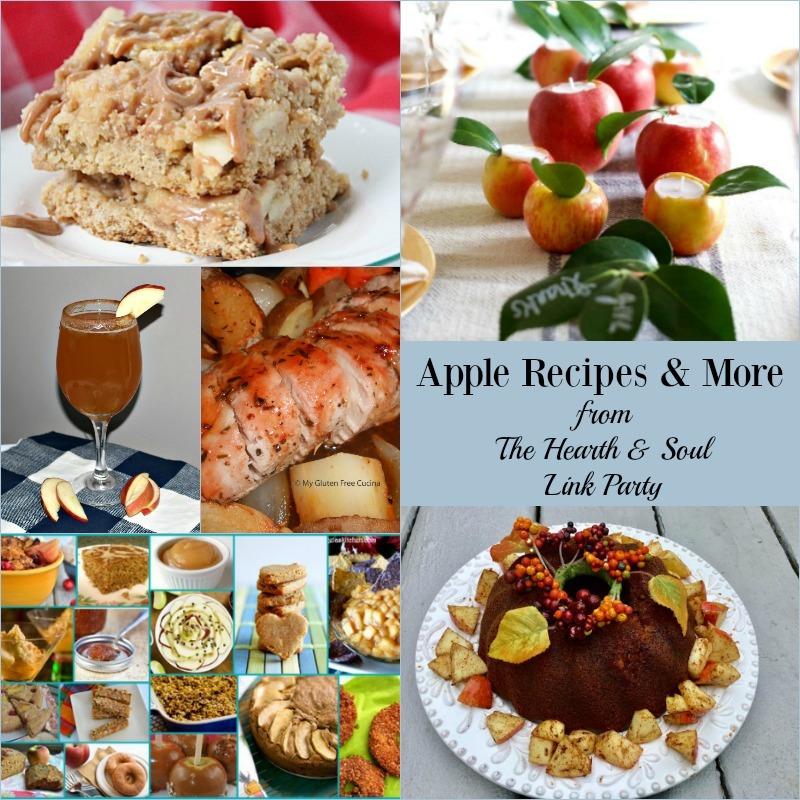 This week’s featured posts include Apple Recipes and more! Sharing the party on social media is very welcome, as is providing a link back to AprilJHarris.com. There are buttons at the top and bottom of this blog post to make sharing easy. Please keep the party going by visiting some posts, and connecting with other bloggers. We’ve created a fantastic community here at Hearth and Soul, and I’m so grateful you are a part of it! I love all the fall apple recipes, they look delicious! Thanks so much for the party and have a fantastic week! Thank you so much, Miz Helen! I hope your week is fantastic too! Thanks for hosting and I hope that you have a wonderful week. Thanks for all the hard work you do. I love the flavors of fall too and made a carrot ginger soup tonight. Thank you for featuring my Jewish Apple Cake this week and thank you for hosting. I look forward to it each week. Hi April! Apples really tell us Fall is coming. Unfortunately, here in Phoenix the temperature is still in the hundreds, (F). But I am so ready for the fall recipes! I am going to Facebook right now to see what your favorite city is, and to tell you mine. Thanks for hosting! Hi Helen! Wow, 100 degrees plus is very hot! I hope it cools down for you a bit soon. Where I live in the UK we are having highs in the low seventies which is very unusual. Thank you for visiting my FB post – I look forward to finding out what your favourite city is! Thanks April for hosting another fun party! Always enjoy your blog! Thank you so much, Robin, and thank you for the invitation too! Happy day to you too, Jen! And it’s my pleasure 🙂 Thank you for being a part of Hearth and Soul! Your banana gingerbread made me hungry! Thanks for hosting – you are SO amazing April! I’m happy to be sharing a link here again. Of all the linky parties, Hearth and Soul has always been my favourite. Thanks for keeping it going. Yay! so happy you liked my city! Venice, Italy is a jewerly and unique city on the world!! I live there since 2004 and Im married with an italian, I love the italian life style! This is my first time to your link party but certainly not my last! Thanks for hosting. BTW… loved you post on Venice!! Enjoy your week. Welcome, Katie! It’s lovely to see you here! And thank you! I hope you enjoy your week too! This is my first visit but not my last. Thanks for hosting. Thanks so much for the great party, April!! It’s a pleasure, Leigh! It’s lovely to ‘see’ you at the party 🙂 Hope your week is going well! You are so welcome, Dee! Hope you are having a great week! What a dream to visit Venice, wow lucky girl, you have so much fun traveling! I am so grateful for our visits to Venice, Karren 🙂 I agree, I am a lucky girl! Thank you for visiting and sharing. I hope you have a great week too!